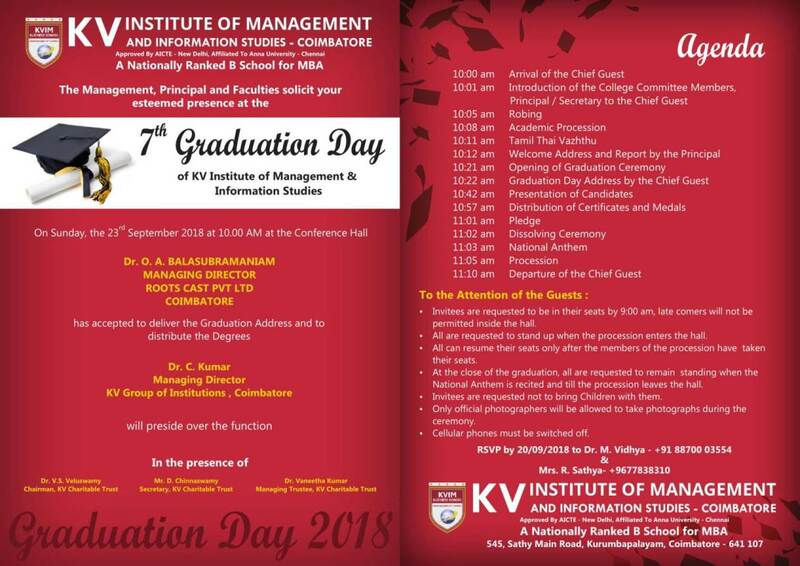 KV Institute of Management and Information studies celebrated its graduation day with grandeur amidst the dignitaries, the governing council members, staff, students and their parents. The Chief Guests in their addresses congratulated students, management and faculty and also appreciated the college for having very renowned academicians and for growing progressively. They also emphasized on the importance of good communication skills as it is the need of the hour and advised students to be global citizens contributing their knowledge for the betterment of the society.